Yes, your cell phone is attached to your hip; many times, literally! Some of us (ahem – I don’t relate at all) actually experience anxiety if we don’t have our phones with us at all times. Because of their flexibility, mobile devices are being used at a rapidly increasing rate to search the internet. 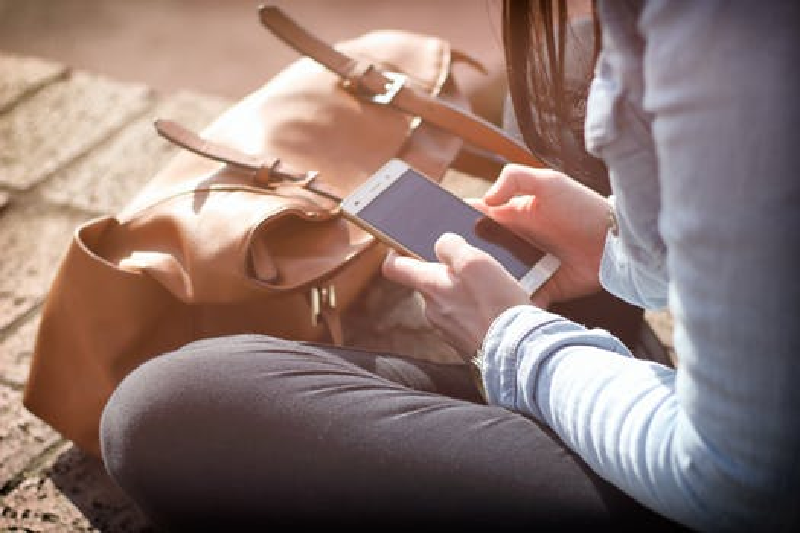 In fact, studies show that consumers use their phones more than half as much as they use their desktop or home laptop computers. Consumers want information right here, right now. They demand it, and if they don’t get it, they’ll leave you in the lurch. Why do you think Amazon is so popular? You can easily find just about anything you’re looking for on their site, shipped usually within a day or two. And these micro moments aren’t slowing down; conversely, they are multiplying. The quicker people get relevant information, the more they expect it. 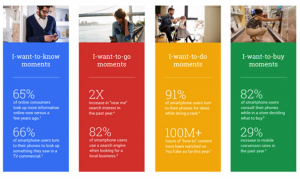 How Do Micro Moments Impact Your SEO Strategy? 91% of smartphone users turn to their phones for ideas when in the middle of a task. 90% are not certain of the brand they want to buy from. 82% use their phones to check on prospective in-store purchases. 65% look for the most relevant information to their query, regardless of the company that provides the answer. 51% have discovered a new company or product when searching on their phone. 33% have purchased from a different brand than the one they had in mind, because of the information provided. To succeed in a micro moments world, you need to accommodate its demands into your online marketing and SEO strategy. So how do you go about that? Here are some tips to help. Understand the user journey. Anticipate what the consumer is looking for; his intent. Then develop a keyword strategy around that. Brand perception needs to be enhanced by delivering better in-store and out of store experiences. Content, content, content. Surely, by now you know that relevant and interesting content is critical to rankings and lead generation. It’s even more critical in the micro moments environment to deliver real value. 69% of online consumers stated that timing, quality and relevance influenced their decisions. Speed can make the difference. If it takes longer than three seconds for your site to load, it’s likely that the searcher will click out and try another. Instant gratification, remember? It’s also important to make sure that the information the user is looking for is readily available, without having to complete a bunch of steps to get it. Managing micro-moments successfully requires reliance on secure and well-thought strategic technology solutions, either deployed effectively and tailored to your branding needs or built from scratch. Las Vegas SEO for Growth can help you build that strategy. We can assist you in establishing an online presence that captures customers’ interest, is ranked highly by search engines, generates leads and gets you found online, even in the micro moments world. Las Vegas SEO for Growth can help you improve your SEO with a plan that works for your business.